I banged my knee on the computer desk, and I’m now in pain. But I’ve recovered nicely by the time I finished this sentence. Nope…still hurts. Earliest memory would be me dressing up in my mothers nylons and pretending I’m Batman. I WISH I was making this up. Yes. Me telling you about my mothers nylons that I used to run around in. Music doesn’t usually get me through a breakup. It usually makes it worse because every song mentions LOVE pretty much. So I’d watch Ace Ventura. IMDB (I stalk every actor working), Youtube, and Apple Trailers. I’m inspired by people who are inspired. People who work hard and want something more than anything. That inspires me. Name three books that have impacted your life. The Dictionary, The Alchemist, and The Power of the Subconscious Mind. Any moment I’m with the people I love. I’m 360 degrees from Kevin Bacon. Wait, what? How do you incorporate the work of other artists into your own? I just watch other actors and if I see something I like, I may borrow it for a little while, in my own way obviously, but I think every actor just constantly borrows from people, or other actors. It’s kind of our job. Please explain the motivation/inspiration behind your role as Gene Corbett on Bomb Girls. I loved the depth of this character. I love how it had so many layers. He’s this cocky guy, almost an A-hole, but really he’s a scared little boy underneath. To me that was super fun to explore. Not to mention he also has severe PTSD. Which was very interesting to research. I just loved every second of working on this show. It was incredible. Probably to face your fears because you are the only person stopping YOU. Nobody else. List your favorite in the following categories: Comedian, Musician, Author, Actor. Actor — It varies, but right now it’s Tom Hardy. If you had complete creative license and an unlimited budget, what would your next project be? My next project would be to remake Sailor Moon … but make it incredibly DARK. Like the Dark Knight, and I’d play the villain. The meaning of how things came to be. Not just THEORIES. I’m going to go and ice my knee. 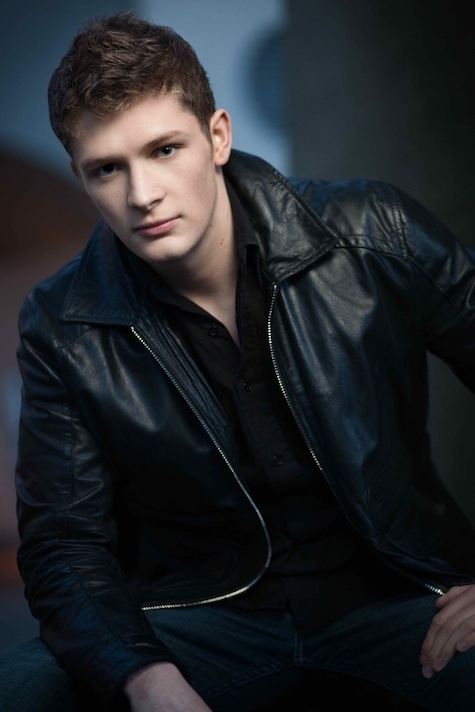 Actor BRETT DIER most recently guest-starred on Bomb Girls as Gene Corbett, the son of Lorna (Meg Tilly) and Bob (Peter Outerbridge) and a returning soldier suffering from combat stress reaction – a World War II precursor to PTSD. Dier has previously appeared on V, Flashpoint, Mr. Young, Supernatural, Smallville, as well as the films Shattered and Diary of a Wimpy Kid. His latest film Backmask – a horror/comedy written by Kirsten Elms (Texas Chainsaw 3D), directed by Marcus Nispel (Conan the Barbarian), and starring Stephen Lang (Avatar) – premieres later this year. TNB's ARTS & CULTURE section features essays, reviews, and interviews in the world of film, television, visual, comedy, and theater arts. Cynthia Hawkins serves as our Arts & Culture Editor.